Perfect Money – Why Choose This Deposit Method in 2019? While looking into deposit methods for forex, you’ve probably noticed that quite a few brokers accept an online payment service called Perfect Money. In fact, this is a well-known service welcomed by many vendors online, both in and outside the investing world. But what is Perfect Money, and how does it work for forex deposits and withdrawals? Read on to learn all about using Perfect Money for trading online. Perfect Money has been around since 2007, possibly even earlier. It is an e-wallet which can be used to transfer payments, store cryptocurrencies or fiat currencies, shop online, accrue interest, and more. There is next to no background information to be found anywhere about the company that operates the service. Even Reuters has been unable to identify the owner. Most people seem to believe that the site operates out of Panama, but the government of that country has denied this. The site’s address used to be www.perfectmoney.com, but it has been moved to https://perfectmoney.is/. There is also some confusion concerning the exact nature of Perfect Money. Going off of the report from Reuters, Perfect Money functions as an e-wallet and offers its own cryptocurrency, also referred to as Perfect Money. If you go to the company’s website and read through their FAQ, you will see four supported currencies listed: USD, EUR, gold and Bitcoin. So Perfect Money’s reputation is something of a mixed bag. On one hand, this is a service which has been operating for quite some time, and which seems to be popular among many online users. On the other, very little can be confirmed about who runs the company, and even its services are somewhat obscure. You will need to use your own discretion in deciding whether to open an account there. What Is a Perfect Money Broker? A Perfect Money broker is simply a trading website which accepts this method for deposits and/or withdrawals. Because this is such a long-established system for payments online, you will find that quite a few brokers list it as an option on their banking pages. If a broker you trade with does let you use Perfect Money, you will need to decide whether to use it for deposits, withdrawals, or both (some trading sites require you to use the same method you pick for deposits for your withdrawals too). Depositing using Perfect Money is a matter of going to the banking page and selecting it as your deposit method. From there, you can expect to be directed to Perfect Money’s website where you will need to log in. From there, you can send the money over to your trading account. When it comes time to withdraw, you will need to provide your Perfect Money account number so that the trading site can transfer funds back to you. You can then withdraw them to your bank account through the e-wallet. Why Would You Use a Perfect Money Broker? The main reasons to use Perfect Money for depositing or withdrawing to a forex trading account are about the same as they are for most e-wallets, convenience and privacy. 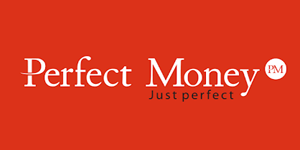 Perfect Money offers a good deal of flexibility when it comes to storing and transferring funds online. Many users choose it because it supports both fiat and cryptocurrencies. You can even convert directly from one currency to another within your account. Accounts earn 4% interest per year, and fees tend to be competitive. Multiple account tiers are available for personal or professional use, each with different features and fees. You also might consider using this deposit method if another e-wallet service of your choice is not available in your country or is not accepted by the broker you wish trade with. Should you deposit using Perfect Money? There’s no way to answer that question for you, as this is something you’ll need to decide yourself. But it is a good idea to weigh the pros and cons of the service before you register since its reputation is so vague. When choosing a forex broker which offers Perfect Money, you should consider both the overall quality of the broker as well as specifics pertaining to transfers using the service. A platform which is feature-rich and easy to use, and which performs reliably. Low slippage, spreads and commissions. A match for your needs with respect to trade sizes. Compatibility with any third-party trading software you want to use. Excellent support when you need it from the customer service team. Rapid processing of your deposits and withdrawals using the service. Low fees—or better yet—no fees from the broker. Do not forget that Perfect Money itself charges fees. So, if there are no added charges from your forex broker, that will keep your transfer costs down to a minimum. Also keep in mind that any conversions within Perfect Money come with a price, and there are fees to withdraw money from the e-wallet to your bank account or Bitcoin address. If you need help finding a trusted Perfect Money broker, just check out the table provided on this page. Every broker to make our list has been carefully vetted through research and has met our highest quality standards. Is Perfect Money the best method for depositing and withdrawing from a forex account? All told, in most cases, there are definitely some more transparent and reputable options out there. But in some situations, traders may find it a convenient alternative to other e-wallets and payment methods. It is a good idea to do some research into Perfect Money yourself before you commit to using it. Read through the site’s About page, FAQ, and fees, and check out a little bit about its background (or lack thereof). You could also ask around to see if any other traders you know are using it. Find out whether they have had good experiences and have found it fast, convenient, safe and reliable. Another idea is to contact Perfect Money’s customer service team, which is available around the clock, seven days a week. Ask your questions and see what kinds of responses you get. This is an excellent way to test the site’s commitment to your needs. In short, you should always make decisions about your finances based on your own prudence and common sense. Plenty of users seem to be happy with Perfect Money, but many others will be more comfortable going with a forex deposit method where it is possible to verify the ownership, history and location of the company. Q: Is Perfect Money legit? A: It is honestly hard to say. Being as the site has managed to stay in business for so long, it seems likely that the services they offer are reasonably reliable and trustworthy. Because information is so sparse however, one cannot confidently declare for certain that Perfect Money is or is not a legitimate service. Q: Who operates Perfect Money? A: Nobody appears to have the answer to this question. If Reuters doesn’t know, it is unlikely that anyone other than the people who actually run the website do know. Q: How do I get started with a Perfect Money broker? A: To begin, you should register an account with Perfect Money and transfer some cash into it so that you are ready to make your first deposit. Once you’ve taken that step, take a look at the list of recommended Perfect Money brokers on this page, and select a site which offers the features you’re looking for. Sign up for an account on that site, and then choose Perfect Money as your deposit method. Once you have transferred some funds, you will be ready to begin trading. Take note that if you are using Bitcoin to deposit into your Perfect Money account, you’ll need to find out whether it is an acceptable base currency at the forex site you want to use. If it isn’t, you will have to take the intervening step of converting your Bitcoin into another base currency (likely a fiat currency like USD or EUR) before transferring your money to your trading account.